I started putting up Blogher photos. This one, however, is by Elephant Soap. it. is. perfect. how do you feel about a tattoo? Love it, Misti! We'd just need to make sure she gets the tatoo on the back of her neck. 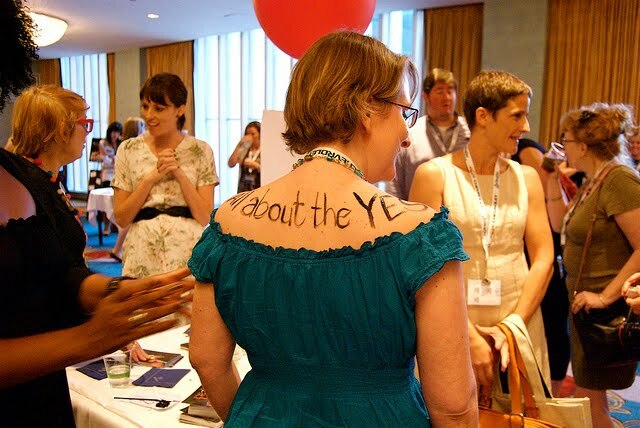 "All about the YES" sends a different message on other parts of the body. JRH...see? that's why we are a good team. I apparently want to turn my bff into a slutty tattoo blogger girl. If it's on the neck...well obviously yes has already been spoken by said slutty tattoo blogger girl!